Cleo Woelfle-Erskine, Assistant Professor of Equity and Environmental Justice, is developing a new course on social and ecological dimensions of habitat restoration, in terrestrial, aquatic, estuarine, and nearshore environments. 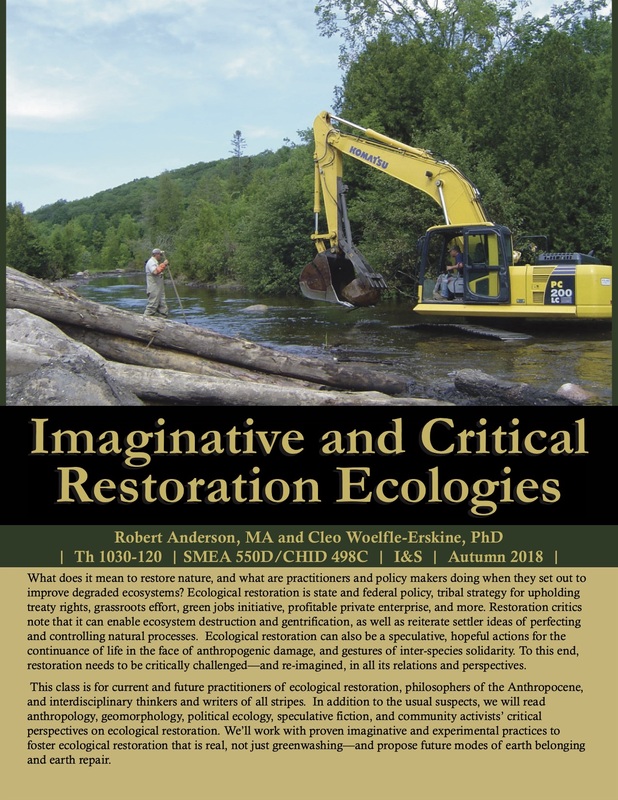 This course will involve reading primary literature (across hydrology, ecology, geography, political ecology, and social sciences), field trips, and a critical analysis of an ecological restoration project. It is open to both undergraduates and graduate students. This is a project based course, and graduate students may use their dissertation research as a project. This course will be held on Thursdays, 10:30 am – 1:20 pm. Contact Cleo Woelfle-Erskine with additional questions.